Proactive trading and investing is one of the very few endeavors in life where one must learn to expect regular and frequent failures as a routine matter of course toward achieving ongoing success. As such, it stands to reason that prior to engaging, one must come to terms with, and embrace these expected failures as though they are an annoying but essential lifelong partner whom without one could not otherwise succeed. Though winnings far outpace losses, riddled with failure is the Road to Success. It is a tough pill to swallow, but it is what it is, and there is simply no getting around it. More likely than not, this is precisely why 90% of all who try their hand at the business of trading abandon it at the first signs of challenge and adversity. There is no greater thrill than successfully assuming the risks and responsibilities of directing your own trading and investment capital. Over the long haul however, climbing this particular ladder of success requires a great deal of planning and perseverance. 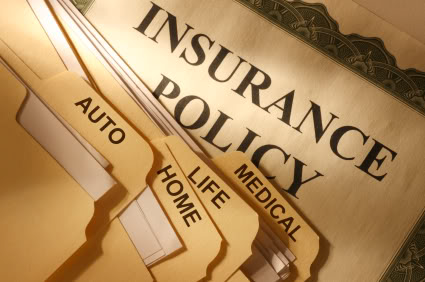 Do you have a livable risk-free income stream? Do you have little or no debt? Do you own 10-20% in physical Gold/Silver as a percentage of your entire net worth? Do you have cash reserves of at least 6-months of living expenses on hand? Do you have at least $10,000-$20,000 in speculative investment capital that you can afford to lose? 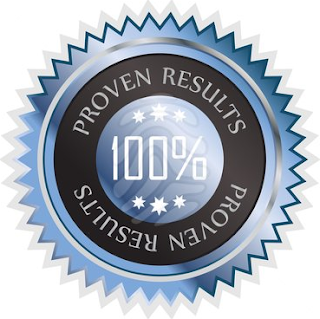 Do you have a proven edge or strategy that will guide your trading and investment decisions? 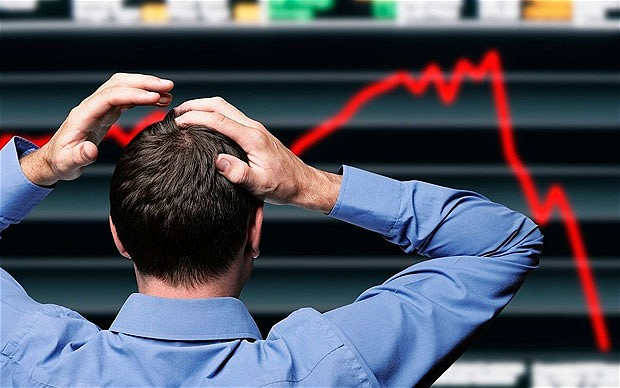 Do you have the will and discipline to succeed in the face of regular and frequent losses? Do you know how to manage your speculative capital to avoid the risk of ruin? If you can answer yes to most of the above, you can then begin to give serious consideration in joining the elite-few who comprise the 10% of market participants that continually prevail while the majority fails. 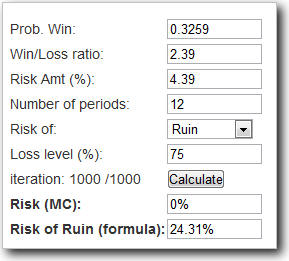 The best risk of ruin calculator we have found thus far is located here. Since we have developed a proven trading edge with historical performance stats that go back a minimum of 3-years, it is possible for us to quantify the probability of ruin for an applied strategy within a given market and timeframe with a reliable degree of accuracy. For example, after 719 trades (periods) over the last 5-years, including $9000 in slippage and $3400 in commissions, our short-term E-mini trading strategy produced an average monthly return of $400, which amounts to more than $30,000 in total net profits throughout the entire period. What is the risk of ruin for this strategy? If one begins with trading capital of $20,000, within any given month there is a 24.31% chance of ruin associated with trading this particular strategy. In this case, risk of ruin is reached upon a 75% loss of initial capital or (-$15,000), which would render one s account dormant due to not having enough margin money remaining to put on another trade. 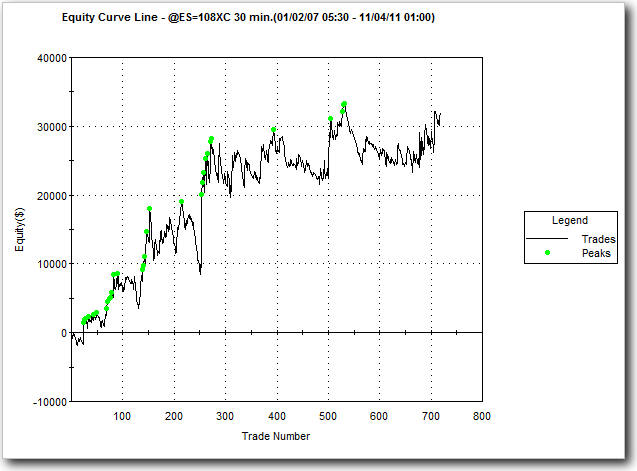 Below is the equity curve associated with this particular short-term E-mini trading strategy. Naturally, as one s stake would have grown from $20,000 to over $50,000 over the period, so long as one s trade size remained the same, one s risk of ruin drops to a paltry 0.08%. One can find more excellent money management and position sizing tips here. 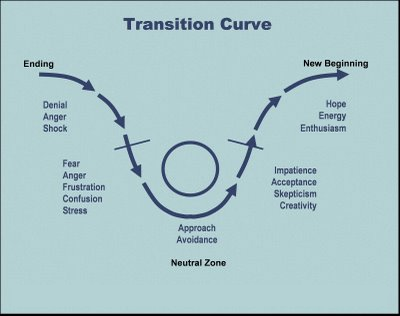 In order to survive amid the unknown waterways of trading and investing, it is essential that one plot and follow a proven strategic course to grant oneself the highest probabilities of long-term success. Acquiring reliable navigation tools to tilt the odds in one s favor is paramount. We span the markets to bring you a constant variety of trades, the thrills of victory, (and yes) the agony of defeat. The ultimate human drama is assuming a calculated risk for unknown rewards. This is OUR Wide World of Strategic Trading and Investment Success! Beneath the nostalgic Wide World of Sports introduction from which the previous paragraph was constructed, one may peruse our short-term trading performance for the month of October. 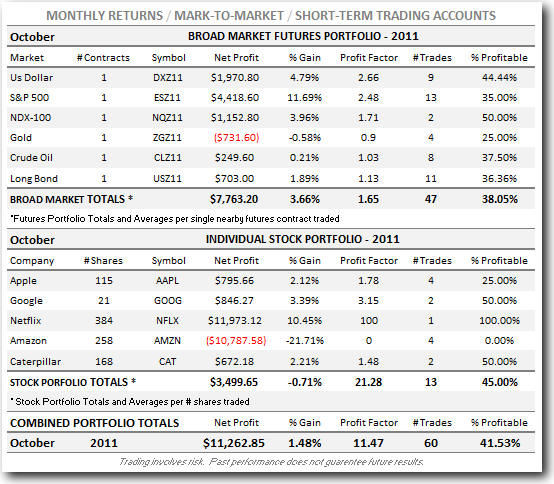 For October, the portfolio review of our short-term trading strategies unequivocally embodies the thrill of victory. The monthly performance profile intends to exemplify a random statistical sample of profit opportunities that one might expect to gain through acquiring access to the PILOT within a given month of daily operations.